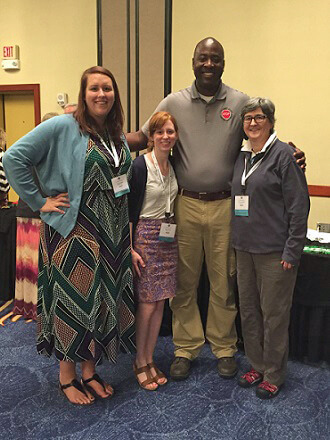 Eight Takeaways from the 2015 Georgia School of Addiction Studies | GUIDE, Inc. 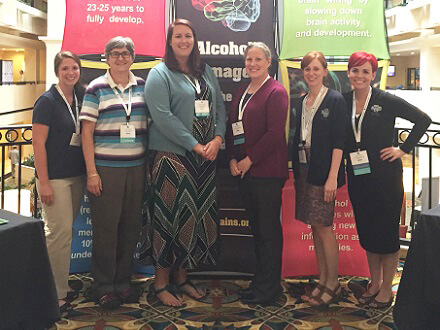 The 9th Annual Georgia School of Addiction Studies was held August 24-28, 2015 in Savannah. 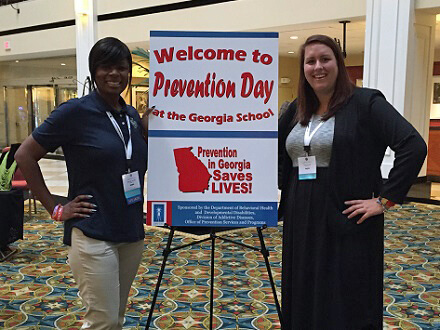 This year’s theme, “Addressing Challenges,” represents the current challenges faced by the prevention, treatment and recovery fields in Georgia and speaks to our collective ability to address these issues head-on in order to continue creating positive community change. This conference brings together prevention, treatment and recovery professionals and gives GUIDE Staff the opportunity to reconnect with old friends, network with newcomers in prevention, present a variety of workshops and attend sessions that provide new research findings and innovative ideas. We are excited to share eight important takeaways from the workshops and sessions we attended this year. In continuing millennial-focused prevention, stay the course, use technology, involve parents, take advantage of teamwork and tie wellness to social good. In his keynote address, Rodney Wambeam spoke about three generations, Millennials, Generation X and Baby Boomers, in terms of how we can understand each other and work together to create effective prevention. He focused on substance abuse prevention for millennials and reminded us to utilize the prevention data that we have because it is reliable, to better use technology to reach them and even ask them how to use it, to tap into parents as resources because millennials see them as mentors and to leverage millennials’ love of collaboration and teamwork. There are 50,000-60,000 driver’s license suspensions each year in Georgia because of a DUI. 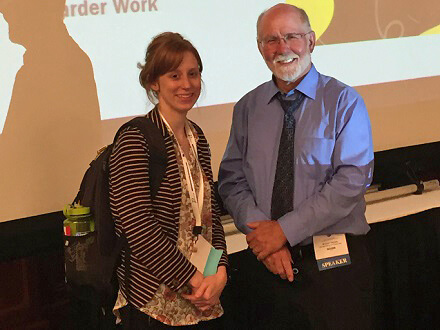 In his informative workshop, Scott Dunbar presented the current DUI laws in Georgia, the definitions and penalties for each type of offense, information about drug possessions and the requirements for clinical evaluation and treatment. We learned that most DUIs are still alcohol-related, however, since 2009 there has been a steady increase in the number of DUIs for those impaired by prescription drugs. While the Blood Alcohol Level for a DUI is set at 0.08, even at 0.05, most people are significantly impaired with issues in their visual acuity, vigilance, drowsiness, psychomotor skills and information processing. Approximately 90% of alcohol consumption by youth under 21 is through binge drinking. In an informative workshop given by Officer Jermaine Galloway, we learned about underage drinking trends, non-traditional methods of alcohol consumption, ways to work with and engage our law enforcement and more. Unfortunately, “we are in a society where we want a more-potent everything,” which is risky for our youth. By knowing that teens and underage young adults still purchase alcoholic energy drinks and other beverages with a high alcohol content, often participate in binge drinking when they do consume alcohol and live in a society where this is frequently portrayed as acceptable, we can utilize this information in crafting our prevention efforts accordingly. In really listening to music, you will find the messages are the same across genres but they are presented differently. Marc Fomby led a fun, interactive presentation on messages in mainstream music. We listened to a variety of songs from R&B, country, pop and rap from over the past few decades and were able to decode the messages in the lyrics. So often youth and adults may like the way a song sounds but don’t really know what it’s saying. By being proactive and listening intently to the music our youth hear on a daily basis, we can understand what messages might be influencing their behavior. If we take this step, we can also use this information to start a dialogue with youth about harmful behaviors, including alcohol, tobacco and other drug use as well as promiscuity. In Georgia, more than 340,000 adults and 100,000 children live with serious mental health conditions. Nykia Greene-Young, Cathy Wendolt-McDade and Brian Le from the Department of Behavioral Health and Developmental Disabilities shared this statistic in their presentation about mental health, the Continuum of Care and the Public Health model for addressing mental health. We certainly cannot ignore mental health as it is currently a critical public health concern in the United States. All of us can have a role in promoting mental health by increasing awareness, fighting the stigma and encouraging parent involvement. Additionally, we learned how mental health promotion is intertwined with other health promotion and prevention activities; with a little creativity and teamwork, we can address these issues together to ensure conditions for people to lead healthy lives. 13-23 year olds reported the highest levels of stress in a 2014 American Psychological Association study. For the first time ever, this age group reported the highest stress levels in the U.S., with 27% indicating extreme stress and 55% moderate stress. This age group was most stressed by their appearance and how others perceive them on social media. They reported feeling irritable or angry in the past month and said they felt pressure to act in a certain way. In his workshop, Mike Nerney connected this information and additional research to why adolescent brains are more likely to have a lower perception of risk in regards to using marijuana. Keeping this in mind, he recommended that our prevention efforts should focus on marijuana’s impact on learning, lifestyle and health. The US imports 26% of the world’s heroin supply, yet we have only 6% of the world’s population. This startling statistic was covered in another workshop from Mike Nerney about the negative impacts of heroin addiction. With this amount of supply in the U.S., teens are certainly at risk for beginning to use the substance. In adolescence, the emotional rewards for risk taking and intensity of peer inclusion override seeing and considering any potential consequences of engaging in unsafe behaviors. Unfortunately for teens who do use heroin, it is powerful enough to have access to developing systems inside the adolescent brain. This access creates serious changes to structural, chemical and electrical systems that may significantly impair cognition, emotional processing and physical growth and development. Understanding the adolescent brain and the impact of various substances are crucial aspects of effective substance abuse prevention. You must address the roots of a problem for effective environmental prevention. So often when we explain environmental prevention, it’s difficult for people to understand and feel passionate about what we are trying to accomplish. One way to communicate our mission is by drawing a tree, where the trunk is our problem, the branches are the symptoms of the problem and the roots are the true sources of the problem. For example, if our identified problem is underage drinking, we might look at the “branches” that include injuries, teen pregnancies, drop outs and crimes to try to fix the problem by focusing on these symptoms. However, it’s more effective to concentrate on the “roots,” such as boredom, easy access, peer pressure and parental approval to address the problem using environmental strategies. Thank you to Eric Rowles from Leading to Change for this analogy! Rather than creating a list of nine takeaways in honor of the 9th year of the conference, we felt that each professional who attended the Georgia School likely has a statistic, key point or idea that resonated with them and will impact their work moving forward. We hope to see your takeaways on social media! Once again, we left Savannah thankful for the opportunity to present several workshops, connect with others and develop professionally from the sessions we attended; we are already looking forward to next year!